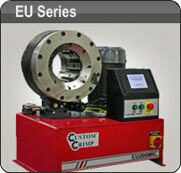 Hydraulic Hose Crimpers at Custom Crimp Europe. We carry a wide range of affordable, compact, portable and industrial Hydraulic Hose Crimpers and Hydraulic Hose Assembly Machines, as well as Hose Saws and Test Benches. 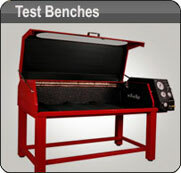 Our aim is to help you choose the right product for all your crimping needs. 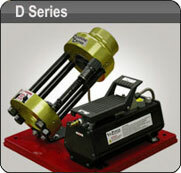 The D100 Series Hose Crimpers are the "go anywhere" crimpers with the power and portability to handle most hose and fitting combinations up to 1 inch hose. The EU Series of production hose crimpers offer a wide range of options and capacities to fit the needs of the shop where crimping is a full time business and speed, accuracy and repeatability are essential. 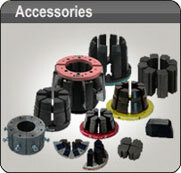 We carry a wide range of Standard Dies for our Crimpers. 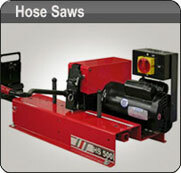 Custom made dies and dies for other brands of hose crimpers are also available. Please contact us to discuss your specific design requirements. 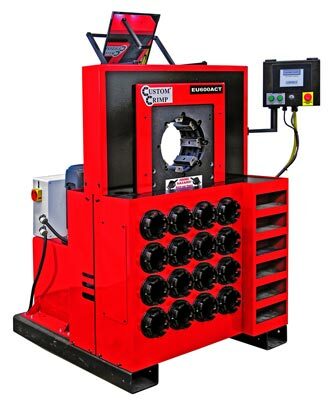 The CC-FP10 Fitting Pusher is an essential tool for any shop producing industrial hoses. Copyright © 2011. HACI Ltd.